Freeze headers, or have fixed headers so that when you scroll down, they stay put. This blog (http://blogs.opentext.com/how-to-scrolling-crosstab-with-fixed-row-headers/) showed how to fix row headers. There wasn't one for fixing the position of column headers. So in answering this post about freezing column headers (http://developer.actuate.com/community/forum/index.php?/topic/38979), I thought I would post this to the DevShare so that someone could use it, or improve upon it. It's is a prototype and I'm sure there are other ways of doing this. So please improve it. There's a few modifications to the prototype.js version of the script (https://github.com/kingkool68/stickyHeader/blob/master/stickyheader.prototype.js). 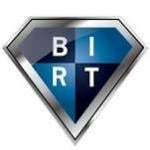 We are using the prototype.js version because the OS BIRT Viewer is based on prototype.js. To test this example, run the report, make your browser's window shorter so that you'll get a vertical scroll bar. Then scroll down and you'll see the fixed (<DIV>) header appear.